In tradition of Wizard101Central and Pirate101Central forums, I am happy to start off this thread with a wonderful tale to be told. August 18th, 2018 is when I joined this game and there after baby animals were introduced on August 21st, 2018. Today... January 21st, 2019 is the day I unlock the ability to gather "Rainbow Crystals". A first step to the end goal of owning and maxing out all the mythical animals. What a wonderful journey this has become and for the future hence forth. Thank you Dworgyn (Tom) for a fun game to pass the time on. As of April 6th, 2019 I've finally unlocked all the mythical babies. Now to max out the stars. 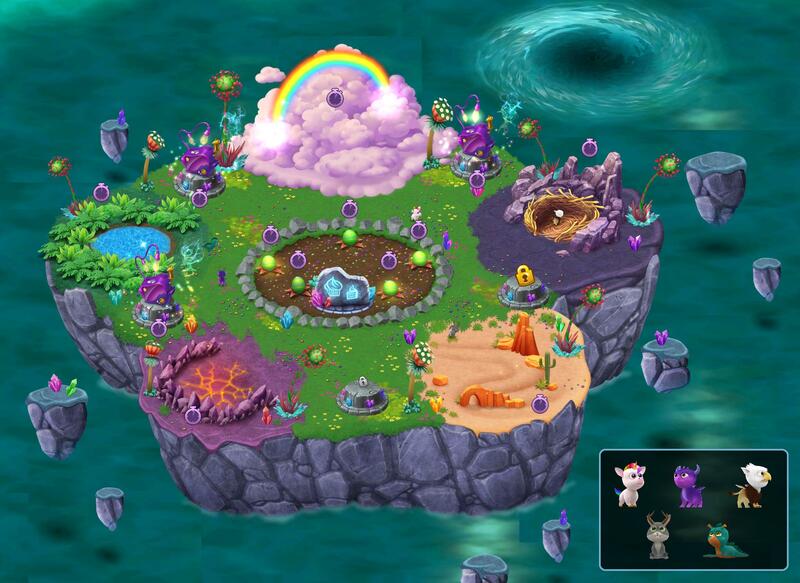 Here's the Island with all babies unlocked to the best of my editing skills. That's beautiful! We actually don't have one of these completely unlocked screenshots out in the wild yet I think... this is the first! May we tweet about it on social, or did you happen to post it somewhere we can share? Yeah sorry for the late reply, was busy with Wizard101 Test Realms. I'm happy you used Swordroll's tweet because while I love making edits to show the full game, if you look closely its poorly edited and I do not know any other way to perfect it due to the motion of each individual item in the game and other things. So I would feel icky if the world saw that. Thank you for the compliment. Thank you as well esmee for the feedback. 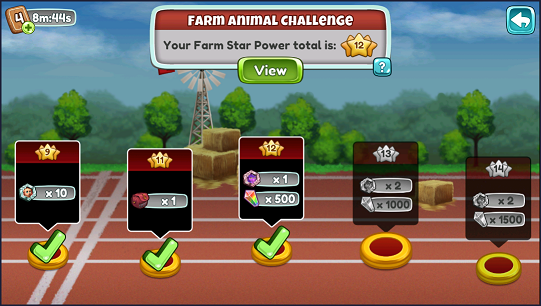 Its going to take me a full year to 5 star all those babies animals to post the next accomplishment here. Last edited by Hunter; April 9th, 2019, 07:16 AM. Hi esmee! The images don't seem to be coming through . This is not your fault, our forum software is less than ideal here. Do you have a link to an image to share perhaps? oh that's weird. The pictures still show on my phone. Unfortunately I deleted them from my device. They were the congrats page showing the club moved to level 6 and then just a picture of our club showing the little 6 in the triangle next to the club name. Ah, well, congrats either way .